Posted 7/25/2014 10:03am by Amber Stenson. I am sorry that this was not sent out to everybody yesterday. We had a miscommunication as to who was sending it out. I hope you all enjoy the box this week. The veggies have been gorgeous lately! This week's box has a lot of variety for all the veggie lovers out there! Thank you for making our Open House a success! We had a lot of people show up last Saturday for our annual Open House. We went on four hay ride farm tours, sold lots of produce at the farmer's stand, painted twenty kids' faces (and two bellies), and fed organic veggies and fruit to everyone! Check out some pictures on our blog! We are looking for farmers for the 2015 season and have scheduled our first information session at the farm! If you or anyone you know is interesting in participating in our program, stop by the farm on Tuesday, July 22nd at 5:30 - 7:30 PM. Check out our Facebook page for more info! Posted 7/22/2014 12:40pm by Amber Stenson. Posted 7/22/2014 11:44am by Minnesota Food Association. Last week in the middle of harvest we had an amazing downpour of rain. The rain that was coming down was of a tropical variety. It lasted only about twenty minutes but it was epic in the strength of the wind and the power of the falling water. It was, in truth, a little intense. My first thoughts were for all of the farmers in the fields. My second thoughts were for the vegetables. As the rain began my daughter and I ran to our packing shed and found ourselves among about twenty other farmers and their families. It is a small shed and the rain was howling into the open doorways and getting all of us a little wet as we watched it. After the first initial panic and excitement wore off, all of us in the little shed started to get comfortable together. We were trapped there for the time being. None of us were going outside to run the 400 ft to the office. So there we stayed and slowly the conversations began to naturally steer towards the pouring rain. Moses, originally from Kenya, started telling stories about the rainy season in his part of the world. How life regularly stops for a ½ hour each day as the rain comes off of the Indian Ocean. Aung Thin, from Burma, speaking thru his son Nay Thoo, talked of his flooded village. Most of the farmers in the room had very clear stories of the heavy rains and waiting for them to stop. It was all very natural to many of them. It made me really enjoy the rain. For a moment we all could have been anywhere in the world where humidity, green growth, and heavy rains are present. It was timeless and peaceful in our little shed under the rain. And then it stopped. The sun returned. Posted 7/22/2014 11:13am by Minnesota Food Association. We had a lot of people show up last Saturday for our annual Open House. We went on four hay ride farm tours, sold lots of produce at the farmer's stand, painted twenty kids' faces (and two bellies), and fed organic veggies and fruit to everyone! Check out some pictures below! Special thanks to Butter Bakery Cafe and Sen Yai Sen Lek for providing food for this event. Posted 7/17/2014 4:45pm by Amber Stenson. Everyone is invited to come out to the farm this weekend! MFA is holding it's annual Open House on July 19th from 12:00 - 4:00 PM. This year, the open house will be held in conjunction with the Co-op Eat Local Farm Tour. Events include field tours, hay rides, face painting and activities for the kids, refreshments, a raffle, a farmer's market product stand, shared recipes, and informational exhibit on the cultural traditions of Big River Farms Farmers and opportunities to learn about organic farming practices. Hope to see you there! You can wash it right before you use it! Posted 7/15/2014 12:21pm by Amber Stenson. Posted 7/8/2014 10:02am by Minnesota Food Association. Harvesting produce is not as straight forward as it might seem. There are some very important factors to harvesting, and to how you handle the produce after, to make sure that it lasts a long time in the refrigerator and that there are no food safety risks. 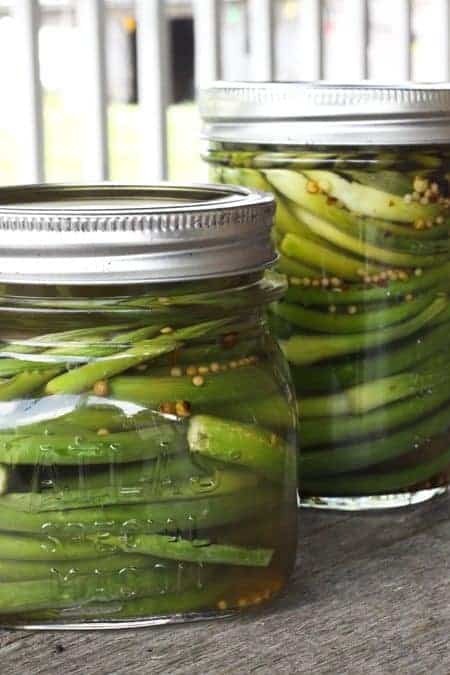 Every year, we have a Food Safety Class that is required for all farmers growing for the CSA to attend and one or two classes on Post-Harvest Handling. There are a lot of details to know, such as what produce should be dunked in water, what should not, what should be harvested early in the morning because it is sensitive to heat, what is so delicate you have to wear gloves to harvest, and what size a bunch should be. One thing we hear a lot from new farmers is that they had no idea how long it takes to harvest. Some things might take long in the field, such as picking peas or beans, while others take longer to clean, such as green onion bunches or carrots. It takes time to learn the skills and create efficiencies and in the meantime, some adjustments often must be made to allow enough time to get all the harvest done and do the cleaning and packing well. Our training program works because the farmers learn by doing. There is preparation in the first year of training, when they are not growing for the CSA, and the amount of produce they grow for the CSA increases each year as they become more efficient in their production. But there still is a lot of learning in the moment, not just in relation to harvest and post-harvest, but in all aspects of production. This is the way we have found to be the most effective with learning, but it does create some uncertainties as to what each harvest day will bring. When the boxes are light, we hope you understand that many issues are due to the weather and some are due to the fact that we are a training farm. Luckily, we do have a great group of farmers here who are committed to learning as much as they can in order to harvest beautiful produce. More spring onions put you in a pickle? Posted 7/8/2014 9:53am by Minnesota Food Association. Pickled spring onions are a delicious condiment for burgers or goat cheese toast. You can also toss them into a salad for a tasty zip! Posted 7/3/2014 9:34am by Amber Stenson. Here is another tasty and delicious box of vegetables for your week of eating! This week's box is a bit light again as we try to get closer to the real start of abundance. I am very excited about the snap peas this week. They are just coming on and we did not have enough to give you all the amount we would have liked but I hope you enjoy the ones you did get. May Lee has a whole five rows of gorgeous pea plants just on the verge of producing their hearts out. What are those curly things in the box? They are Garlic Scapes! These are the best most mellow spring flavored crop around. Here is some more information about them if you are curious. Check out Minnesota Food Association's Facebook Page for articles on how all the rain we've been getting is affecting our crops this summer, as well as pictures of the farmers hard at work! You can also go to our Blog. It is a bit dirty because of the rain! Posted 7/1/2014 11:34am by Minnesota Food Association. It is officially July today and the summer should be in full swing. Here at the farm we have much work to be done. Almost all of our crops are planted and the greenhouse has only a few late plantings of broccoli, lettuce, and spinach to put in the ground later this month. This is the time on the farm when everything starts happening at once. The farmers have vegetables to harvest, some plants left to seed, and lots of beds and rows of vegetables to weed. Each day is overflowing with the work of the world and the anticipation of the abundance of harvests to come. One thing that is not a worry for Big River Farmers right now is irrigating their crops. We have plenty of rain for that! Over the last 12 days we have received about 9 1/2 inches of rain here on the farm. Most of this has come down in very fast and very hard spurts which is the most damaging to our soils and our crops. Moses using the Wheel Hoe to get those onions air! We are doing ok even with the rain but it certainly presents a challenge in terms of getting everything done during the dry periods. Also, the heavy rain compacts our soils and makes them tighter. Plant roots need air as much as they need water and when it rains hard the space in the soil for air to get trapped becomes less. This causes the plants to grow slower. Farmers have been working hard to get back into their fields quickly and open the soil back up using many different types of hoes and various types of claws. It is a real joy to see a field that has been worked after the rains. The plants respond almost immediately!